Whether you need to lose only a few extra pounds or up to 50 or 100 pounds, you can become weary while trying to choose among the hundreds of weight loss plans available. There are plenty of weight loss diets that involve eating special foods, drinking certain drink mixtures, or taking weight loss pills. But which one's right for you? Use these tips to choose the weight loss diet that will fit your lifestyle and daily routine. A weight loss diet plan should fit your style. What works for one person may or may not work for you. You must consider your daily routine, the types of foods you like, and what your body needs. Do you enjoy sweets? Do you enjoy eating meats? There are a number of diets that allow you to eat meats and sweets in moderation. Also, consider how many meals you can eat. Do you normally eat three square meals per day, or do you take smaller, more frequent meals? 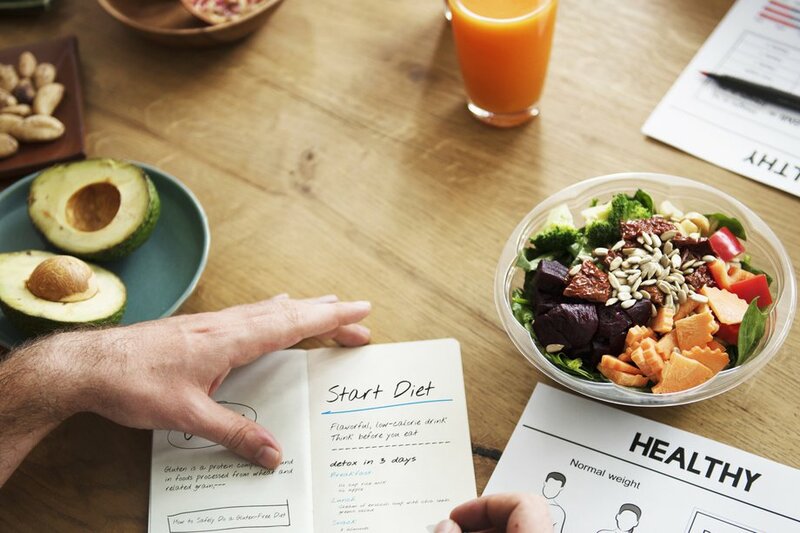 These are questions to ask before starting a weight loss plan so you can find a diet that's easy to stay with to reach your goals. Some diets are riskier than others when it comes to weight loss and your health. For instance, fast weight loss can be harmful to the body, especially if continued over a long period of time. Weight loss pills can be dangerous too if taken without first consulting a physician. Some diets are harmful to the body if you have certain health conditions. For instance, a diet that emphasizes meat might not be best if you already have digestive problems or heart problems. If you have any serious health problems or are taking prescription medications, you should talk to your doctor before starting a weight loss diet. If you feel you need the support of a group or easy instructions on how to eat healthier, a paid weight loss program might be the best route. Paid programs often give you a diet plan and the tools and steps needed to follow it. They also allow you to interact with others through online discussions or even with meetings in person. Though paid diet programs can be expensive, they're still cheaper than a doctor or hospital bills due to the health problems caused by obesity. So, compare the pros and cons of both before choosing a diet plan. Another thing to consider when choosing a weight loss diet is whether the diet promotes pre-packaged foods or home cooking. Pre-packaged foods are often packaged in smaller portions with the calorie count or fat intake clearly marked. These can make it easier to count calories or points for Weight Watchers and other diets. Some diet plans recommend that you eat mainly pre-packaged foods while others promote home cooking with healthy weight loss recipes. The choice is yours. If you have time to cook each day, then cooking at home can be healthier in many ways as it excludes many of the additives found in pre-packaged foods. If you're always on the go, however, the pre-packaged foods might be easier.